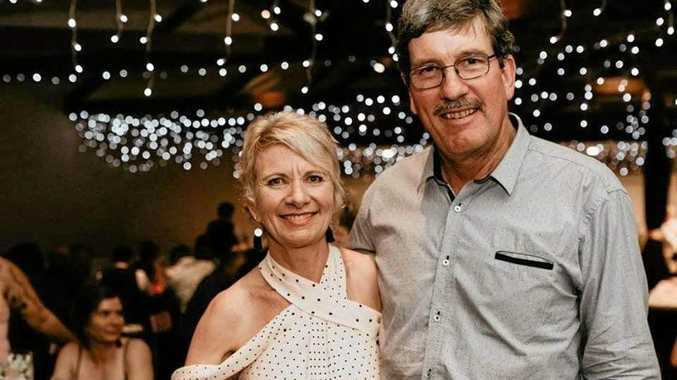 AFTER enduring their driest year since 2002, Clermont graziers Carl and Andrea Moller are hoping 2019 will deliver a change of fortune. The couple recorded just 243mm at their Springvale property, 92km west of Clermont, for the entire year, 3mm more than their previous worst year in 2002. While they are hoping reformed Tropical Cyclone Penny will deliver a wet start to 2019, the Bureau of Meteorology said it is still unclear how much rain will fall in the region. Bureau meteorologist Jess Gardner said the amount of rain predicted is highly dependent on whether the system does move back towards the coast. "It is a bit early to have any certainty with those kinds of figures,” she said. Chief meteorologist for Sky News, Tom Saunders, agreed rainfall is dependent on Penny's movements. "But up to 100mm is possible for Central Queensland,” he said. "By Sunday we could start to see an increase in wind and rain along the central parts of the Queensland coast and by early next week, this system could actually hit the coast. It has been a relatively dry year for Central Queensland. Emerald, where Fairbairn Dam is sitting at just 15 per cent capacity, received 431mm (average) in 2018, Rockhampton received 484mm and Yeppoon received 876mm, all well below their annual average. Other graziers around the region are sharing their 2018 annual rainfall, showing just how dry parts of Central Queensland are. Everton Station at Middlemount received a total of 481mm, with Mitchell Loundon saying he hopes 2019 "is just as good to us and a hell of a lot better to a lot of others”. Troy Roberts said Callistemon, 100km west of Springsure, received 254mm in 2018, much lower than their yearly average of 650mm. Adding that their biggest single fall of the year was 42mm, Mr Roberts said he hoped 2019 "brings everyone big rain”. Mowbray Station, 76km northwest of Springsure, had almost 100mm more than Callistemon, recording 325mm in 2018.